Rollerblading has increased in popularity recently both as a recreational activity as well as a method of transportation throughout the city during the warmer months of the year. 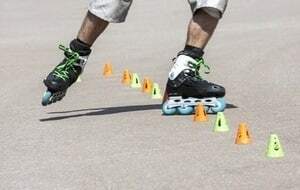 Rollerblading puts bladders at risk of sustaining extremely severe injuries, however, due to the limited protection that they have in the event of being struck by a vehicle or colliding with objects that move suddenly into their paths. Most people refuse to give rollerbladers the right to occupy space on the street or fail to notice them prior to an accident. Those injured in these types of accidents are entitled to compensation for the reimbursement of medical bills, the loss of income and other costs that they are burdened with as a result of their injuries. 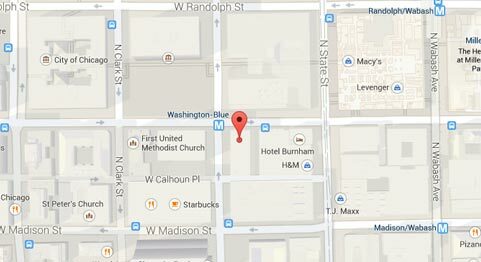 Rosenfeld Injury Lawyers LLC represents Chicago rollerbladers and skateboarders hit by cars, trucks and other vehicles. Contact our office for a free review of your case and attorney will personally discuss your legal options with you without any cost or obligation on your part. The main cause of rollerblading accidents is the failure of motorists to yield the right of way to rollerbladers. They are entitled to the same protections as a motorcyclist or bicyclist in that they may occupy a lane in traffic as long as they adhere to the rules of the road and follow traffic control signals. In addition, rollerblading accidents may be the result of the following. The failure of motorists to notice the rollerblader when entering an intersection or merging into traffic. The opening of doors in the path of rollerbladers which results in a collision between the rollerblader and the car door or another stationary object when the rollerblader tries to get out of the way. Collisions resulting from the failure of motorists to yield the right of way to the rollerblader when making a turn onto another street. The injuries that are suffered by rollerbladers are often severe and require expensive medical care and ongoing therapy. Due to the limited protection that rollerbladers have, they may sustain injuries to the head, neck or spine which may result in traumatic brain injuries and paralysis. In addition, victims may suffer severe lacerations or internal injuries that require immediate surgery to address. If the wounds become infected, victims may also be at risk of losing a limb if amputation is the only way to stop the spread of the infection. If the victim’s injuries are severe or permanent, they may limit his or her ability to return to work and provide for his or her family. Whenever an accident results in the loss of income or potential income and requires long term or ongoing care, these factors must be taken into account when determining the value of the person’s case and the amount of compensation being pursued. Despite gaining popularity over the past two decades, rollerblading is generally frowned upon by motorists who feel that those who participate in the activity are a nuisance and should not be allowed on the streets in the same fashion that cyclists or pedestrians are. The rollerblader is often stigmatized as the at fault party even when the evidence is overwhelmingly in his or her favor, which is why it is important that those who are injured in rollerblading accidents retain the representation of an experienced personal injury attorney who has exhibited a track record of success while handling similar cases. Rosenfeld Injury Lawyers LLC are experienced and resourceful when handling Chicago rollerblading accidents and other types of pedestrian accident cases and have access to experts in the medical field, accident reconstruction and economists— all who can prove to be invaluable when assessing the value of your case and establishing which party is to be held liable. Contact us today to arrange a free consultation with an attorney who would be happy to meet with you at your location of choice. We will review the details of your case and begin our own investigation into the events that led to your injury so that we can let you know what the best course of action to take is going to be going forward and what you can expect from us and the process of litigation as your case progresses. If we are unable to assist you or cannot successfully secure compensation on your behalf, our services will come at no cost to you. We only win if you do.